At the plate, Bryce Harper was outstanding again, going 7 for 23 (.304) with a home run. In recent weeks Harper has been very strong, raising hopes for his performance in the National’s post-season (which seems very likely, given their 7-game lead in the division). Also impressive last week was the A’s Eric Sogard, who was 3 for 9 (.333) with an rbi, raising his season average to an almost respectable .222. Josh Johnson remains on the DL, and isn’t expected back this season. John Buck and Shane Peterson both returned to the majors this past week as the major league rosters expanded from 25 men to 40 men. YTD: .230, 19 runs, 20 rbi, 2 hr, 12 bb, 1 sb, 33 so in 222 at bats. YTD: .221, 9 runs, 6 rbi, 1 hr, 8 bb, 0 sb, 26 so in 86 at bats. YTD: .281, 67 runs, 66 rbi, 14 hr, 48 bb, 37 sb, 87 so in 527 at bats. YTD: .271, 36 runs, 29 rbi, 11 hr, 32 bb, 1 sb, 94 so in 292 at bats. YTD: .294, 16 runs, 17 rbi, 4 hr, 9 bb, 3 sb, 27 so in 102 at bats. YTD: .222, 36 runs, 19 rbi, 1 hr, 29 bb, 10 sb, 32 so in 248 at bats. 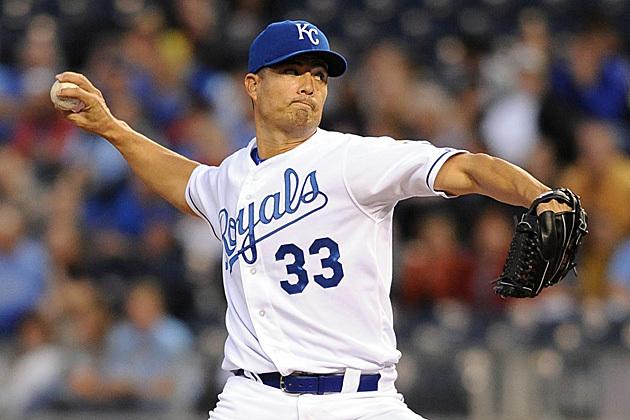 Jeremy Guthrie starts tonight in the World Series. Pretty excited for him, hope he picks up the win. No post about Mormon pitchers World Series game 7S!?!?!?!? Don’t forget Vern Law, who started Game 7 of the 1960 World Series, maybe the greatest game of all time. That’s the Mazeroski game! That’s actually a pretty amazing history of Mormons pitching World Series game 7s. Yeah, geez. I swung by expecting to learn that Guthrie was the first.